On 22nd Jan, culinary stars Ah Ji 阿基师 & James 詹姆士 of Stylish Man 型男主厨 from Taiwan were in town for the press conference of the opening of Stylish Man 型男主厨 Singapore Edition alongside with local actress Ann Kok. The show originated in Taiwan with many top celebrities making appearances and showing off their cooking skills. Since then it has garnered attention throughout Asia, and especially in Singapore, with their humorous jokes and interesting games. Owing to a high demand of the show, Stylish Man was then brought to Singapore in its original format and co-produced by Singtel and SET Taiwan. 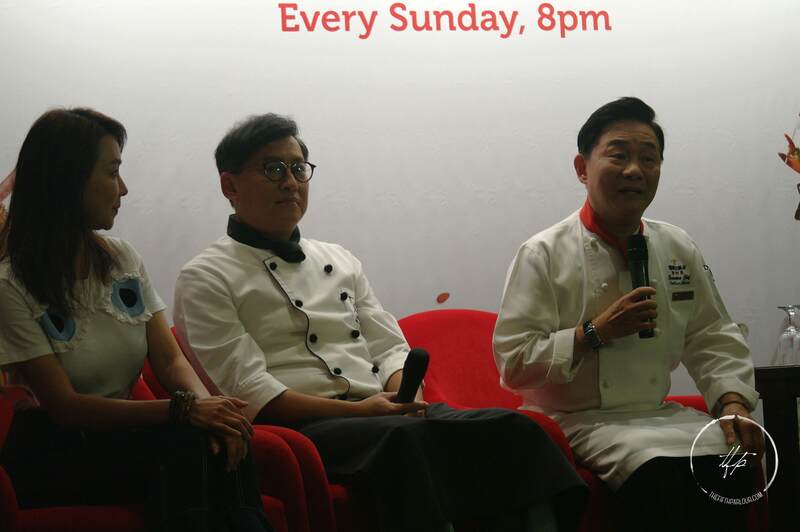 Singapore and Taiwanese celebrities were invited to compete in a series of cooking challenges. The first episode of Stylish Man Singapore aired on 21st Jan, and it is hosted by renowned host Sam Tseng (曾国城) with Taiwan-based Singaporean singer Wong Jinglun (黄靖伦) acting as co-host. Local actresses Huang Biren and Ann Kok were the first guests on the show. When asked if they were great cooks, Kok shares the experience and fun stuff that happened during the recording of the show and joked that Huang is the main chef and herself the co-chef, causing laughter from the crowd. Both chefs and actress Ann Kok wished everyone a Happy Chinese New Year beforehand and wishes for everyone to be healthy and happy in the upcoming year. Stylish Man Singapore 型男主厨 新加坡 will airs on Sundays at 8pm on Jia Le Channel. Thank you Singtel for the invitation to the press conference!